Spring is in the air! 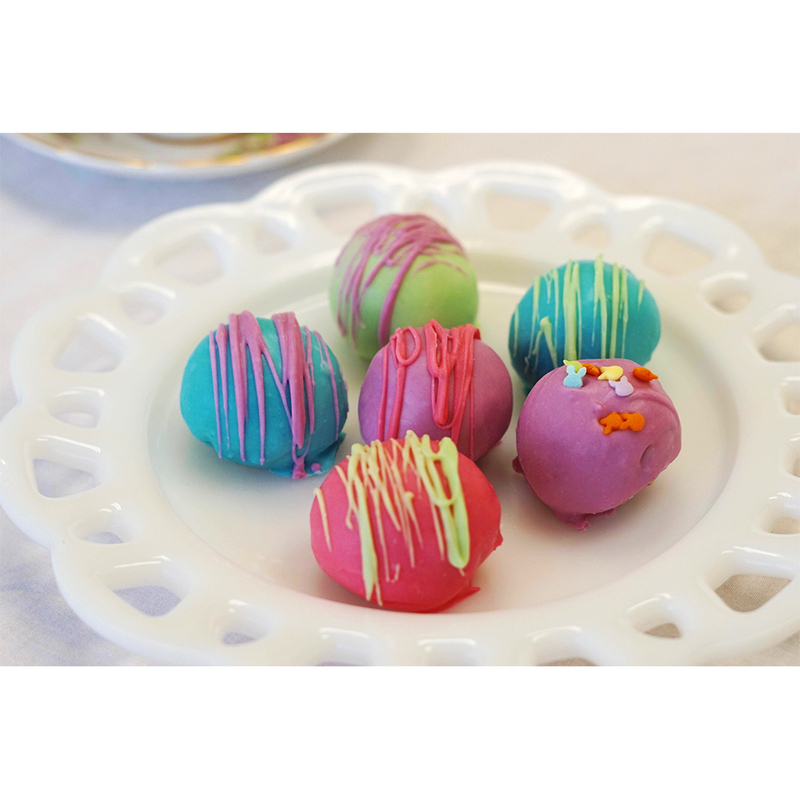 Enjoy these delicious vegan cake truffles to celebrate the colorful lives our rescued residents live thanks to friends like you. 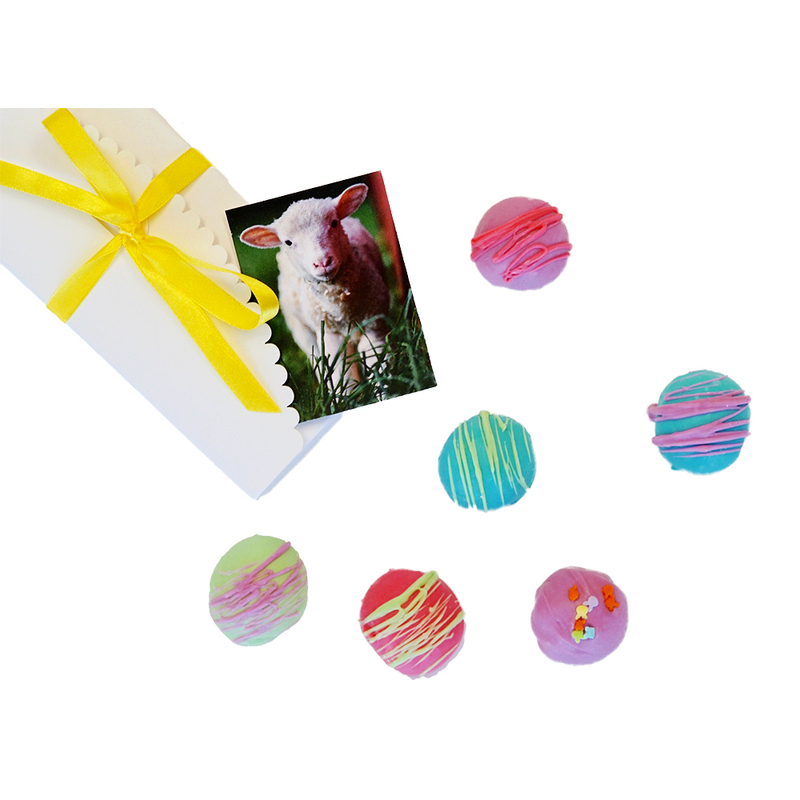 The colorful cake truffles come wrapped and ready to give as a gift with a cute spring tag and bow. 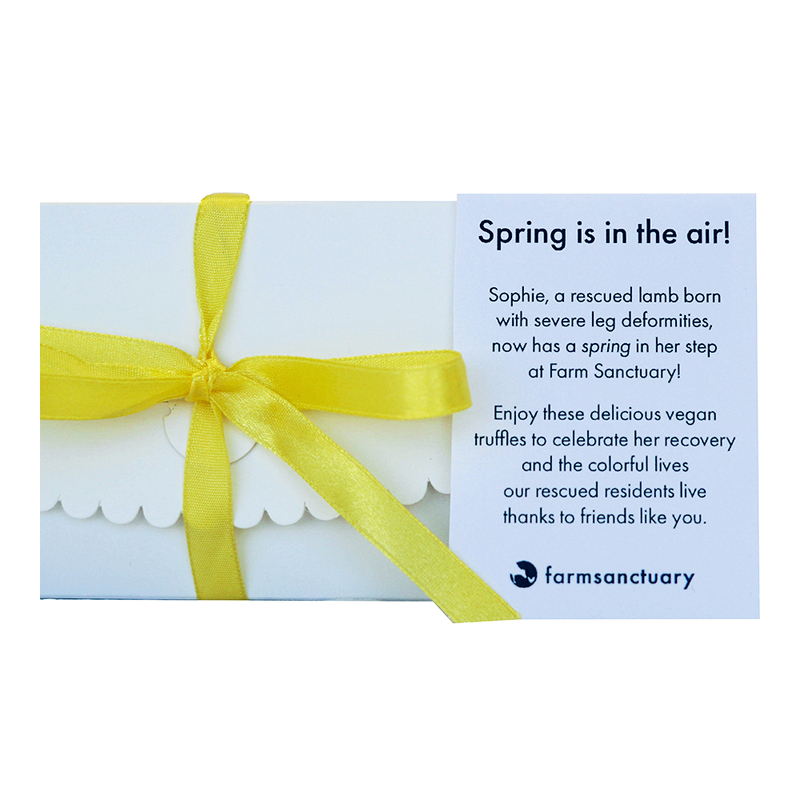 The tag features Sophie Lamb on front with the following message on the back: Sophie, a rescued lamb born with severe leg deformities, now has a spring in her step at Farm Sanctuary! 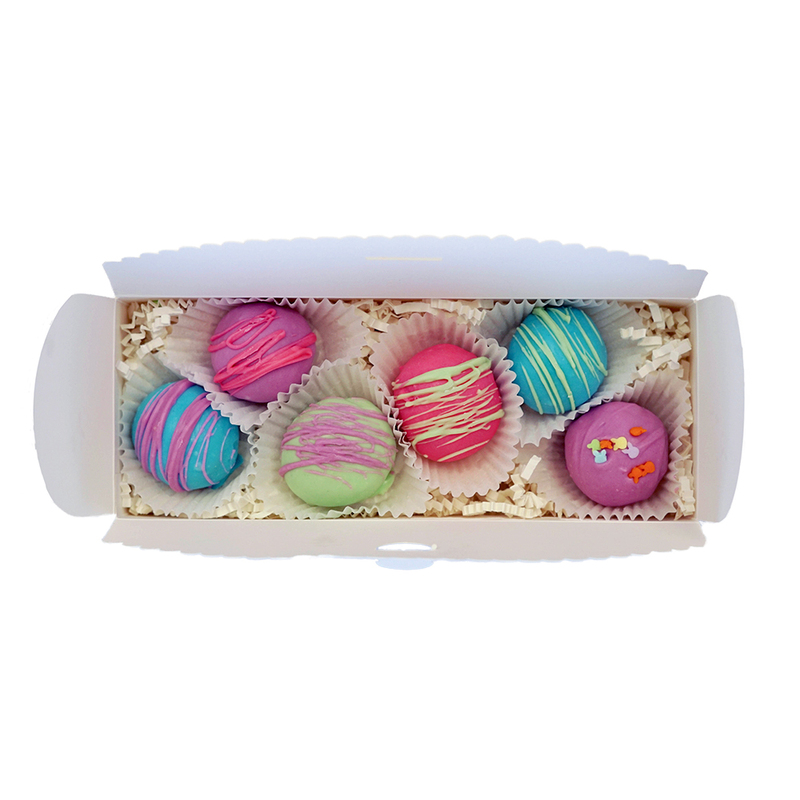 Enjoy these delicious vegan truffles to celebrate her recovery and the colorful lives our rescued residents live thanks to friends like you. Cake: Flour, organic cane juice, organic canola oil, organic rice milk, non-aluminum baking powder, baking soda, corn starch, vanilla extract and almond extract. Frosting (mixed with the cake): Vegan shortening, vegan margarine, organic rice milk,organic confectioners sugar, vanilla extract. Each box of Vegan Cake Pops is carefully packaged by our baker and ships individually. 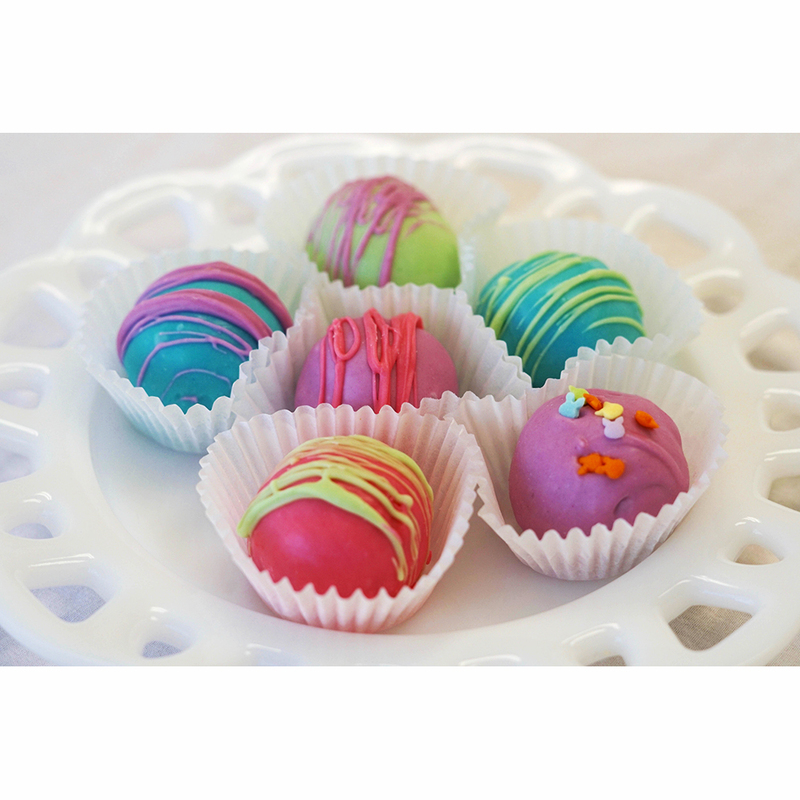 There is a separate shipping fee for each set of cake pops or baked goods ordered. Marge's Expedited Shipping is upgraded to the fastest USPS shipping available for the shipping address. For best enjoyment: Open when delivered, Refrigerate in box or wrap in foil or paper and freeze for later enjoyment.